We are a leading Manufacturer of jib crane attachment, bucket attachment, bale clamp attachment, paper roll clamp attachment, fork extension and boom attachment from Pune, India. We are the recognized as the foremost manufacturer and supplier of high quality Jib Crane Attachment. 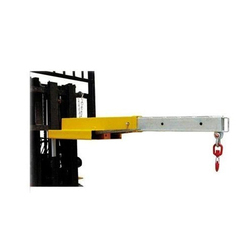 Our crane attachment is used for a heavier range of forklift trucks for handling large unpalletised loads. This crane attachment is manufactured at our highly advanced manufacturing unit utilizing the finest quality material and sophisticated techniques. 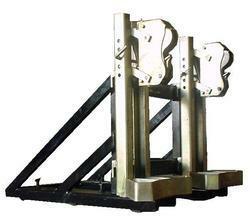 We provide this crane attachment on several specifications so as to meet the needs of customers. Backed by rich industry experience and knowledge, we are offering our clients a superior quality range of Bucket Attachment. 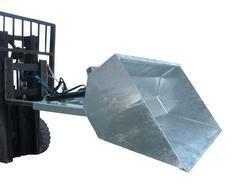 This bucket attachment is acclaimed in the market due to its optimum quality and reliability. Our bucket attachment is manufactured by progressive techniques and high-grade material as per the market standards. 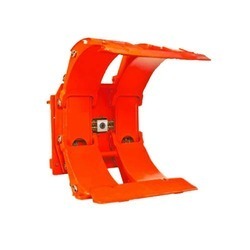 Also, we provide this bucket attachment in numerous specifications as per the variegated needs of customers. Proven durable T-beam arm aluminum frame construction. Superior arm-slide bearing for extended service life. Ribs provide secure grip and give driver good tip handling and bale spinning capabilities. Regenerative hydraulic valving for optimal arm speed. We are successfully ranked amongst the top manufacturer and supplier of splendid quality of Paper Roll Clamp Attachment . 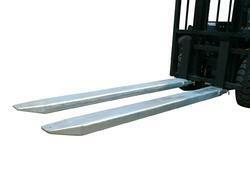 We have marked a distinct position in the market by providing Fork Extension. Our fork extension is tested upon a series of parameters in order to deliver a fault free range. 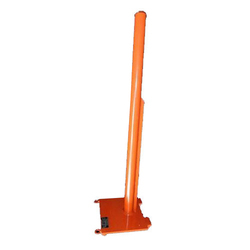 Moreover, we provide this fork extension in multiple specifications as per requirements of customers. Our offered fork extension can also be Polyurethane coated to help reduce product damage and marking. We have been able to offer our clients the finest quality range of Boom Attachment. We manufacture this boom attachment employing cutting-edge techniques and quality approved material in fulfilment with the set industrial norms. As well, our boom attachment is checked by our adept quality controllers in order to avoid any possible defect. 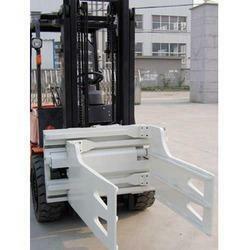 Customers can avail this boom attachment at affordable prices.